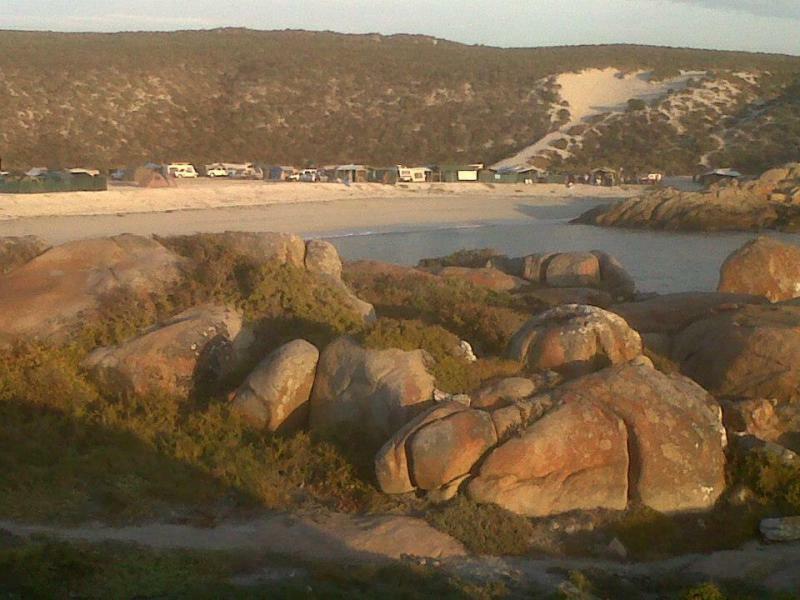 The amusingly named bay on the West Coast is a favourite when it comes to rough and ready camping next to the sea. 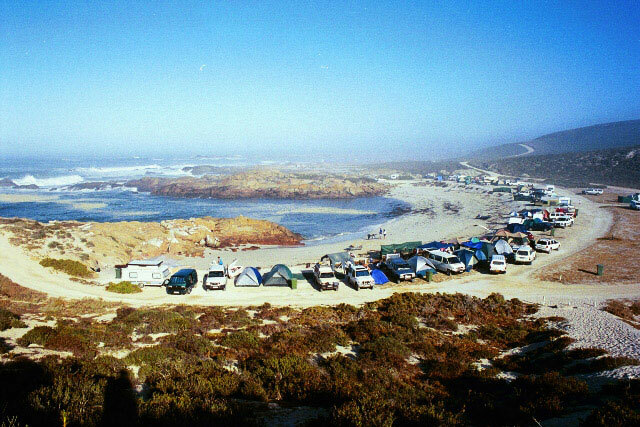 With it`s distinct rugged West Coast Edge, the campsite at Tietiesbaai provides a diverse range of campgrounds to suit the tastes of every oudoorsman, even if cold shower and no electricity are par for the cource. Setup near the ablutions for campsite convenience or choose a spot away from the crowd and nestle amongs the rocks for private holiday bliss. There are caravaning and tenting sites available (grass & ground), none of them have power points. 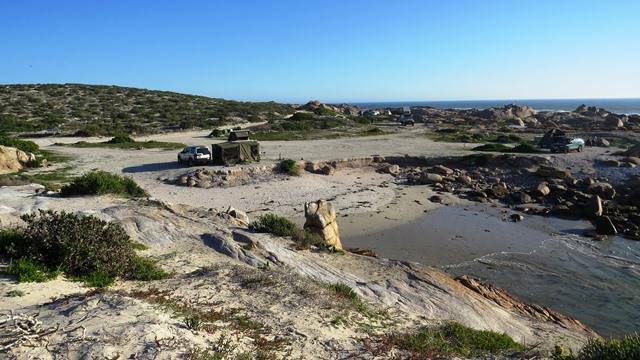 The possibility of strong South Easter calls for sturdy tents, and if it gets too much, the delightfull village of Paternoster is just 5Km down the road. 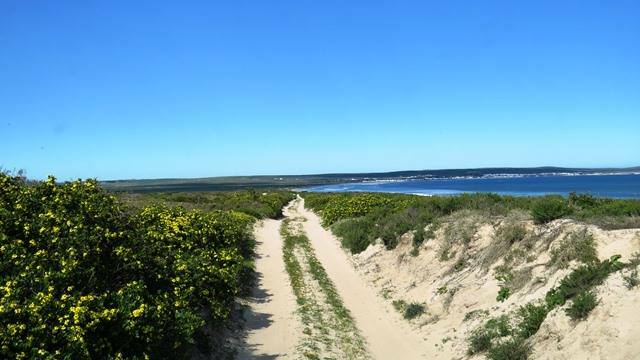 The Cape Columbine Nature Reserve, which includes Tietiesbaai, covers an area of 263ha along a rocky stretch of coastline with numerous inlets and coves. It was declared a nature reserve in December 1973. 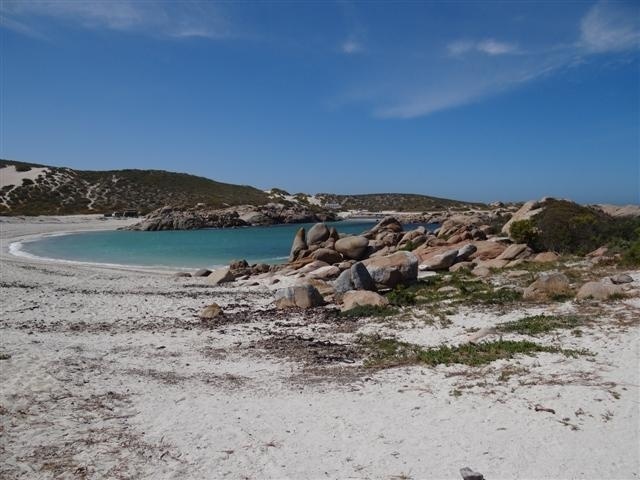 The entrance is about 5km from the fishing hamlet of Paternoster and the vegetation is typical of West Coast veld, ranging from the well-known West Coast fynbos to Karoo succulents. During spring, from August to September, the area is covered in a bright tapestry of wild flowers. The name, Cape Columbine, originates from the name of the last manually controlled lighthouse to be built in South Africa. This lighthouse, in turn, got its name from the British wooden ship ‘Columbine’, which was wrecked 1,5km north of the lighthouse in 1829. Built in 1936 on Castle Rock, it is usually the first South African lighthouse to be seen by ships sailing from Europe. Its light stands 80m above sea level and casts a beam, which is visible for about 50km. 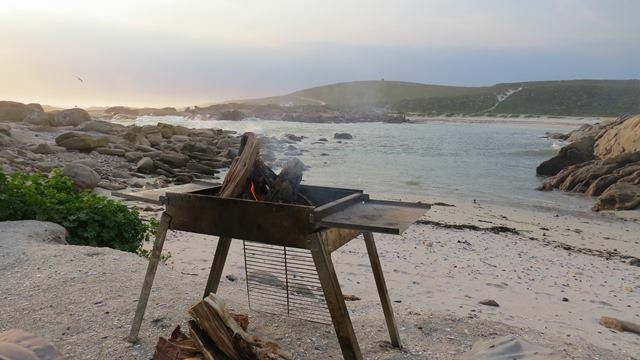 The reserve offers hiking, angling, bird-watching, diving, kayaking and a beach campsite.